Into a bowl, sift together the flour and salt. In a small bowl, whisk together the eggs and milk. Add the milk mixture to the flour mixture, stirring, and stir the batter until it is smooth. Let the mixture stand for 30 minutes. In a preheated, 450* oven, heat a 6-cup popover pan or six 2/3 cup custard cups for 5 minutes, or until hot. Brush the cups with melted butter and fill them half-full with the batter. Bake the popovers in the middle of the 450* oven for 20 minutes, reduce the heat to 375* and bake the popovers 15 minutes more, or until they are brown and crisp. 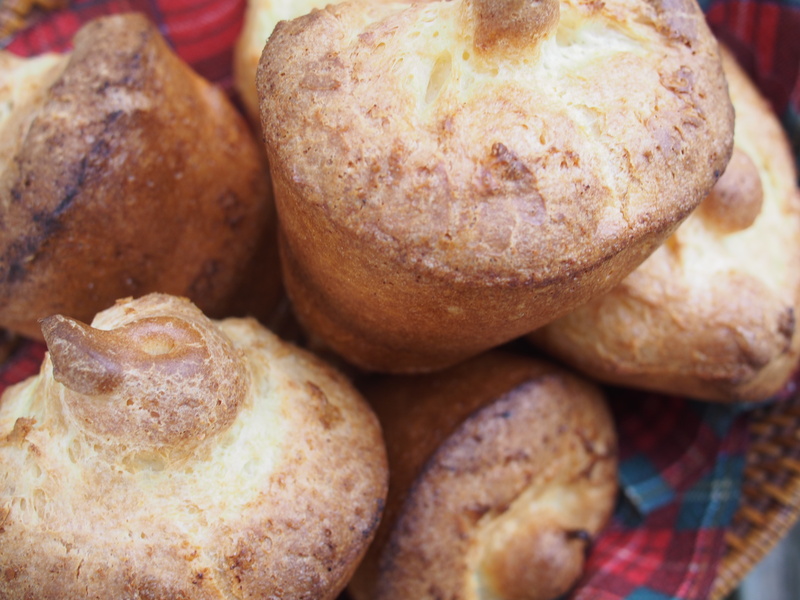 Remove from popover pan immediately and turn onto a wire rack. Poke a small slit in the side of each to let the steam escape. 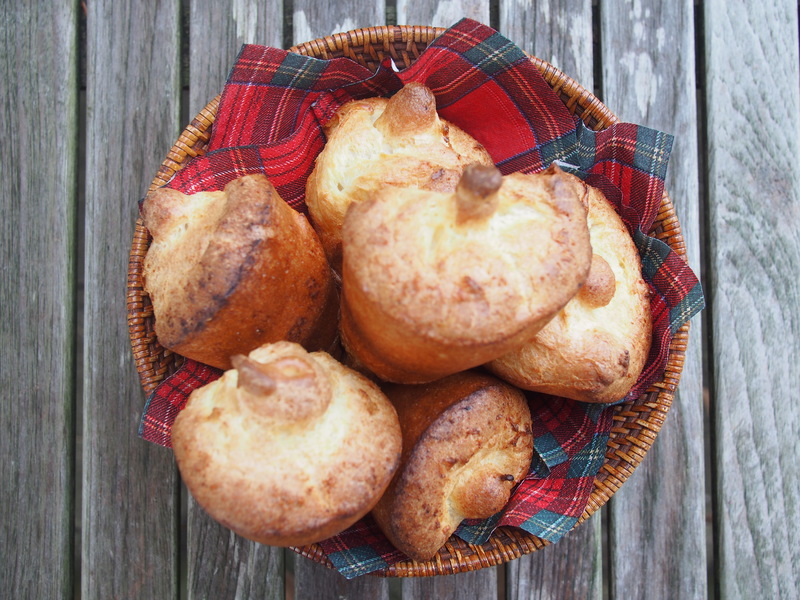 (Popovers lose their crunch if they linger in the pan.) Serve immediately. o Combine ¼ cup fresh thyme leaves and ¾ cup grated Gruyere. Sprinkle over batter-filled popover cups. o Whisk ¼ cup minced chives into batter before filling cups. o Scatter 6 tablespoons crumbled cooked bacon over batter-filled popover cups, then sprinkle with freshly ground black pepper.